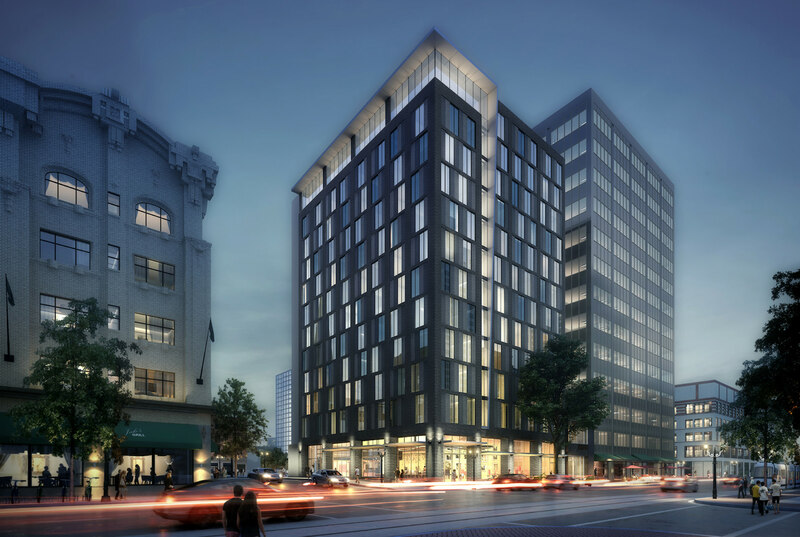 The Design Commission has approved a new hotel at SW 10th & Alder. The 12 story hotel, designed by DLR Group for Graves Hospitality, will be operated as a Moxy Hotel, a new brand by Marriott International. 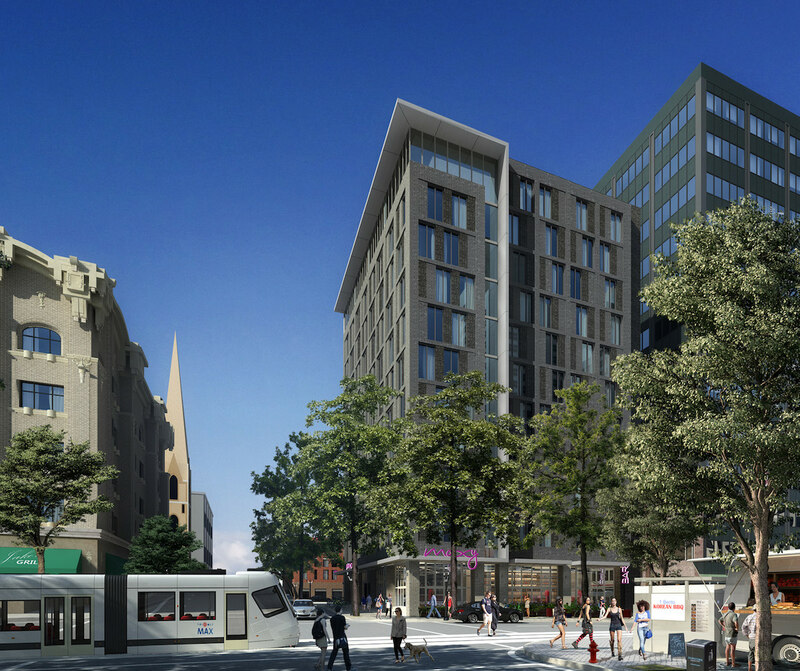 The building will rise to a maximum height of 140′-4″, and will include 197 guest rooms. No vehicular parking is proposed. A proposed hotel at SW 10th & Alder has gone before the Design Commission to receive Design Advice. The 11 story hotel, designed by DLR Group for Graves Hospitality, will be operated as a Moxy Hotel, a new brand by Marriott International. The building will rise to a maximum height of 136′, and will include 179 guest rooms. No vehicular parking is proposed.